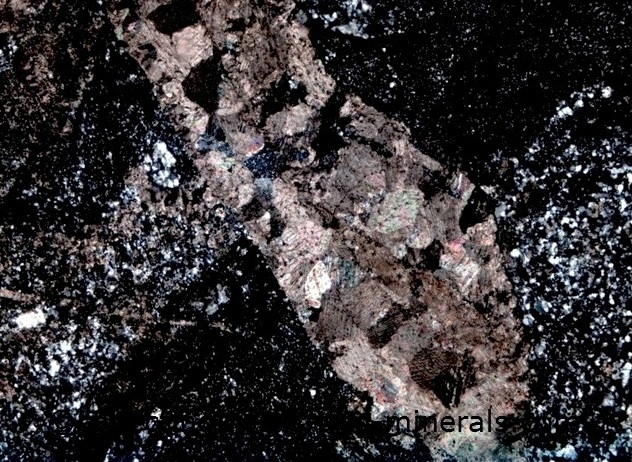 On this page is some mineral information. It includes their formation, composition, characteristics, properties and identification. And also some information on mineral crystals. Minerals form in a few different ways. They form when magma is lifted higher up where temperatures and pressures decrease, starts to freeze, and mineral crystals form. They also form when a rock is metamorphosed due to deformation, or high temperatures and/or pressures and new minerals crystallise. 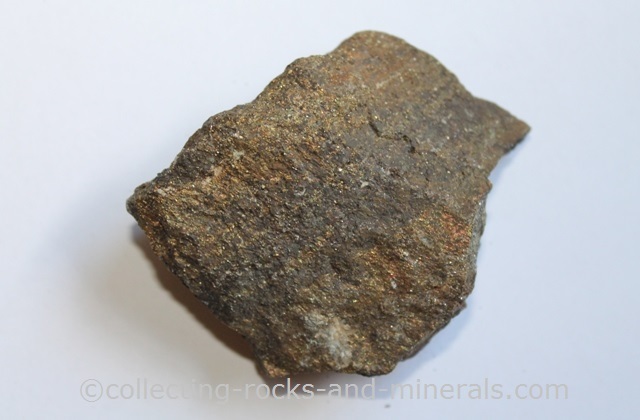 The chemical composition of a mineral depends on the conditions in which it formed. Because chemicals all strive to be stable, where conditions such as temperatures and pressures change, chemical reactions start happening, and new minerals are formed - with chemical compositions that are more stable in the new conditions. Mineral crystals are solids with an atomic system with a repetative, three-dimensional pattern. The flat surfaces are called crystal faces. They all have a certain symmetry, and they belong to one of the crystal systems such as cubic, hexagonal, monoclinic, orthorhombic, triclinic etc. They are also characterised by crystal forms and habits. Crystals, their systems, forms, structure and habits are some of mineral characteristics. Others include cleavage and fracture (how they break); hardness (how hard they are when scratched); specific gravity (what they weigh in water); luster (how they feel to touch); whether they are transparent; and their colour and the colour of their powder - streak. 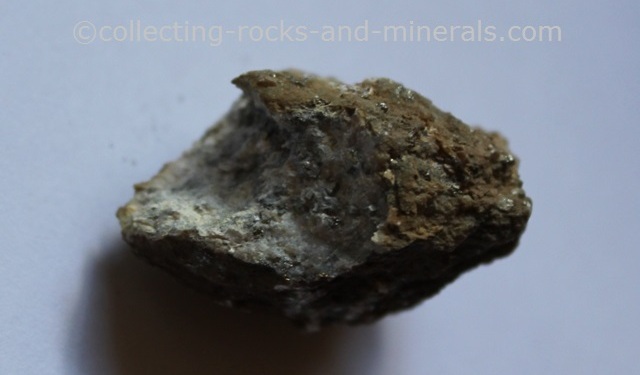 Mineral information also includes their specific properties. Some minerals for example are magnetic. Others react with certain acids (e. g. carbonates react with HCl). Others conduct electricity (obviously the metallic ones). Yet others may be slightly radioactive. And certain minerals are fluorescent. 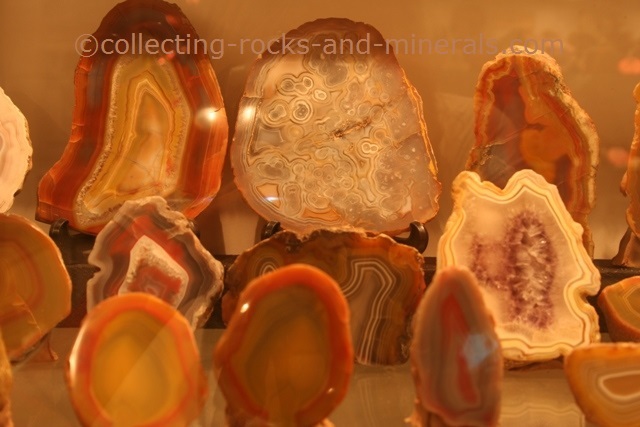 Mineral identification involves checking the crystals, their habits and system; and checking the other characteristics and properties such as streak, colour, transparency and luster; and checking its hardness, fracture, cleavage and specific gravity. Is it magnetic? Does it react to HCl? 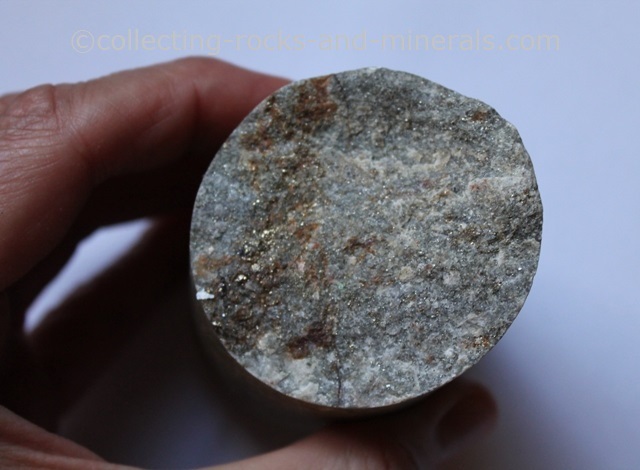 Once the characteristics and properties are checked, easier minerals can be identified without using any tables or charts. 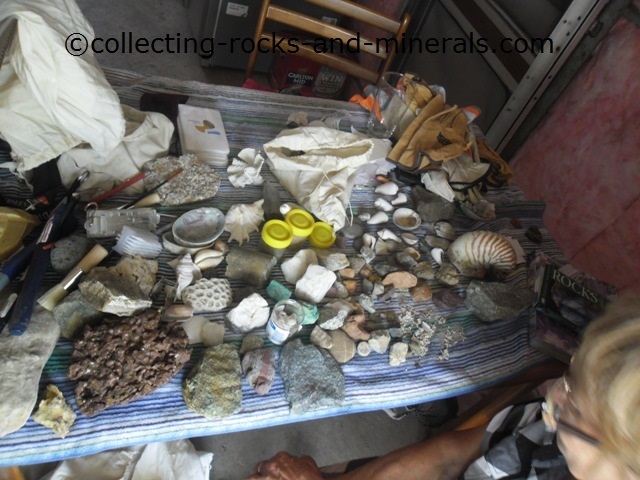 With more complicated minerals mineral identification charts can be used.